In general, textures are a type of design elements that are used to enhance a design may it be a poster or an artwork. There are several textures that designers can use when increasing the quality of their works. For this next post, I have created another set of useful design resources for all you designers out there: concrete textures. Concrete textures in this post are a type of texture that gives off a grungy, bold and hard effect to any surface that you use it on. 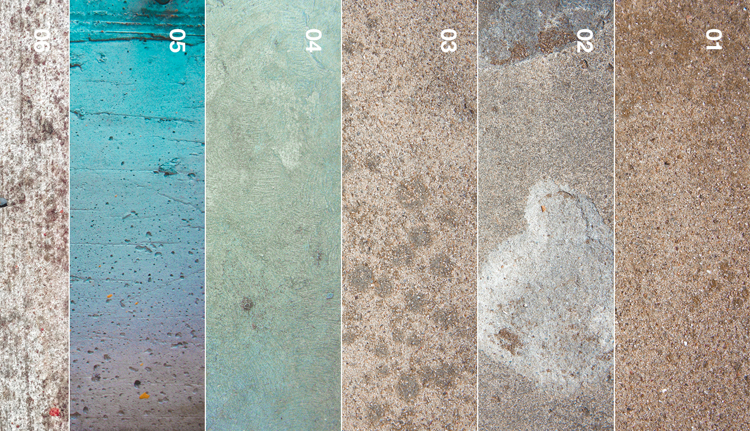 Many of this concrete textures could be used for basic overlays and in emphasizing texts and structures in a design. The textures that I have created now are easy to download and very manageable. They can be used in any way you want. As designers, creativity is endless so late it take you anywhere! If you have some suggestion or request, just leave a comment below. We might add more concrete textures and update this post if needed.